We had to depart Shepherd’s Wharf Marina at 11:00 due to the preparations for Cowes Week. 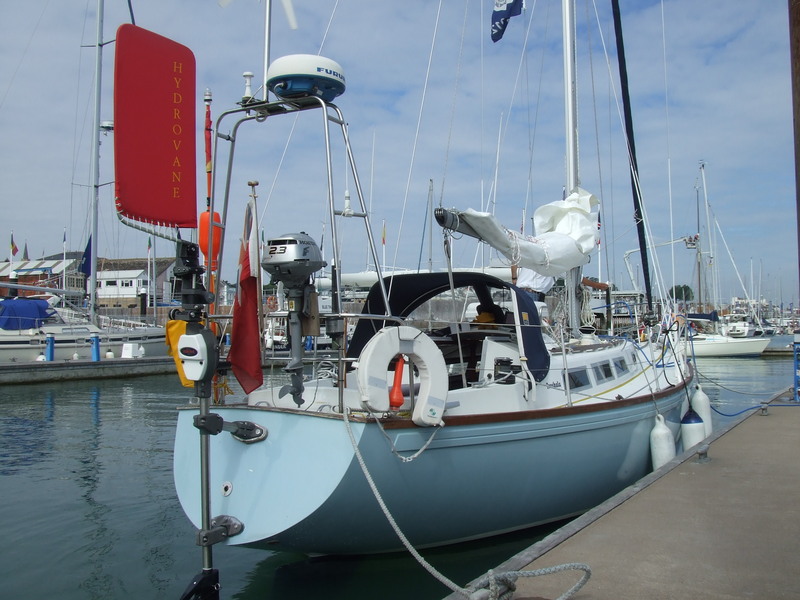 Even though the tide would be against us it was decided that we anchor of Newtown Creek to have lunch and await the tide to become more favorable on our last leg into Lymington.After a quick breakfast we filled up with water and made our way into the busy Solent. It was a glorious day with the sun shining but much to Olly’s disappointment there was again not enough wind to have a good sail. 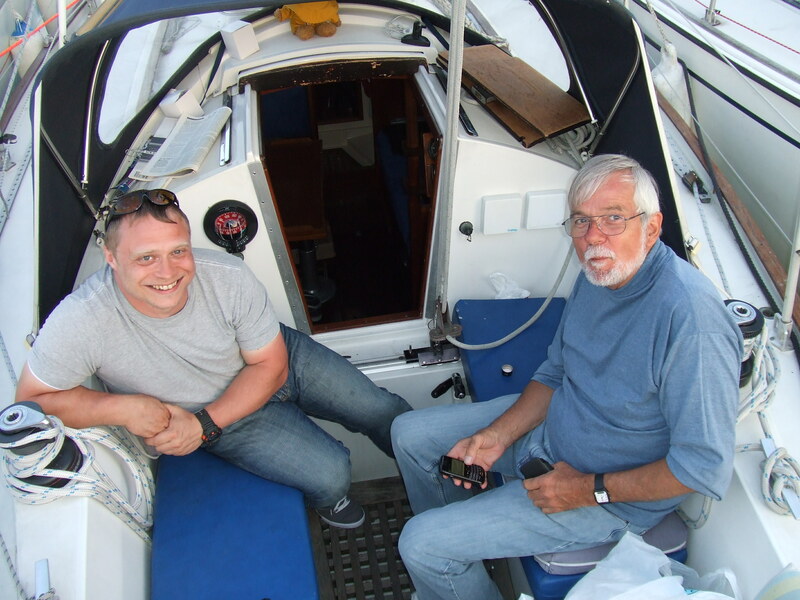 Goodbye Crew – My Dad and Olly after the fish and chips. We motored west and reached the entrance to Newtown Creek at 13:00. We dropped anchor and had a lunch before all turning in to have an early siesta and top the tan up. We departed Newtown at 15:30 and completed the short hop over to Lymington. At Lymington I chose to raft up at the Town Quay as I was reluctant to stay in Berthton marina when one night would set me bacj £40; Lyminton is completely over rated and for that price I would rather buy fish and chips and sit on the quay watching the world go by – and that is exactly what we did. It was time to say goodbye to my Dad and Olly as my Dad’s girlfriend had offered to collect them and take them back to Chichester to collect the cars. I spent the rest of the evening socializing with other boats rafted up next to us before turning in early.